Rick Wershe’s lawyers have filed a new court motion, in federal court, aimed at forcing consideration of parole for him. Wershe is the longest serving Michigan inmate doing a life sentence for a non-violent drug crime committed when he was a juvenile. The lawyer who filed the motion is the son of a Detroit legal legend. UPDATE: On Monday, December 19th, the Michigan Parole Board notified Rick Wershe they intend to interview him in February for possible parole. It is the first step in the formal process for granting parole. It comes less than a week after the filing of the motion for habeas corpus described below. For Rick Wershe, it's the best news he's received since his parole hearing in 2003. It is certain to brighten his Christmas. As Rick Wershe prepares for his 29th year in prison next year, his lawyers are still fighting the fight, battling every way possible to force the criminal justice system to dispense justice in his case. Drug dealers who were ten times bigger on the dope scene have been tried, convicted, imprisoned and paroled in the time Wershe has been behind bars. Cold-blooded hitmen have gone to prison and have been released in the time Wershe has been locked up. Rick Wershe’s real crime was that he was an FBI informant who helped the feds put politically connected dopers and politically connected corrupt cops in prison. There has been a long-running vendetta against Rick Wershe—28 years so far—by some politically powerful people in Detroit and the so-called criminal “justice” system has knuckled under. When a Wayne County Circuit Court judge tried to re-sentence Wershe to time served, Wayne County Prosecutor Kym Worthy, who owes her political career to the corrupt Detroit/Wayne County political machine, fought all the way to the Michigan Supreme Court to keep Wershe in prison. Several hundred Michigan prison inmates, sentenced as juveniles to life in prison for murder, have been re-sentenced under a Michigan Supreme Court ruling called the Lockridge case. Rick Wershe was never convicted of a violent crime or charged with one. Yet, he remains in prison serving a life term. He was sentenced under a draconian state drug law that was repealed years ago. The fact he remains in prison under a discarded law and has been refused meaningful consideration for parole is cruel and unusual punishment as defined by the Eighth Amendment of the Constitution because he is being treated differently than everyone else serving life sentences as juvenile offenders in Michigan. Moreover, the Michigan Parole Board has repeatedly refused to consider Rick Wershe for parole and they refuse to give a reason. They don’t have to unless a judge forces them to do it because in Michigan they are accountable to no one and Michigan’s voters haven’t seen fit to demand a change in this enormous power that is subject to abuse. 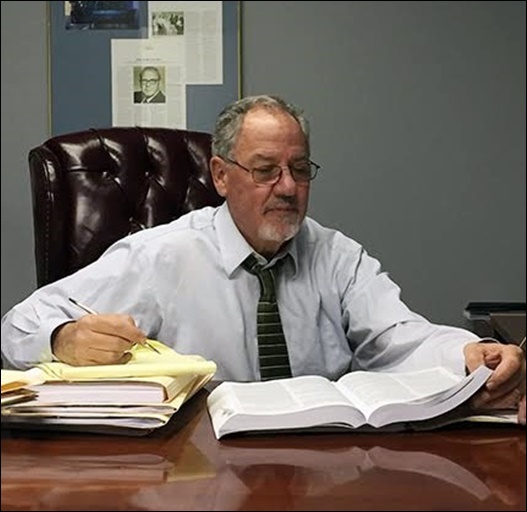 Enter attorney Paul Louisell who has filed a writ of habeas corpus motion in behalf of Wershe in Detroit federal court. Louisell is a member of the Musilli, Brennan law firm. Ralph Musilli is Rick Wershe’s long serving tenacious lawyer, fighting on multiple issues in multiple courts to try to secure his client’s freedom. He’s been working for years pro bono, a Latin term which means he’s working for free on Wershe's case. So is Paul Louisell. Louisell worked for a time in the appellate section of the Wayne County Prosecutor’s office. He has experience with appeals matters and this habeas corpus motion falls in that category. His father, the late Joe Louisell, was a true legend in Detroit courts in the 50s and 60s. More on that later. First, let’s consider what the hell habeas corpus means. It’s another Latin term meaning “you have the body.” In law, it’s used to force authorities to produce a body—in this case Rick Wershe’s body—which they may be holding illegally. In laymen’s terms the habeas corpus motion is intended for force the powers-that-be to explain why they are holding Wershe in the face of what appears to be violations of several of his Constitutional rights. The habeas corpus motion filing was assigned to U.S. District Judge George Steeh. Amazingly, his court ordered the Michigan Attorney General’s Office to file a legal response. The AG’s office represents the Parole Board in legal matters. This is getting to first base with this motion, something that is very, very difficult these days. Ever since the 9/11 attacks, the U.S. Supreme Court and other courts have taken a tough stand on habeas corpus and other defendant/inmate rights. Last year the Michigan Law Journal, a publication of the University of Michigan School of Law, published a piece with a wordy and cumbersome title: The Demise of Habeas Corpus and the Rise of Qualified Immunity: The Court’s Ever Increasing Limitations on the Development and Enforcement of Constitutional Rights and Some Particularly Unfortunate Consequences. I know. It makes you want to rush to find it on Google and read every word. But the title tells you what you need to know; habeas corpus, a defendant or inmate’s right to challenge illegal or improper incarceration, is under assault by numerous court rulings. As a practical matter, judges are reluctant these days to even consider habeas corpus cases because there is so much case law now stacked against this legal tool. That’s why Judge Steeh’s willingness to even consider Louisell’s motion is noteworthy. “Wershe is not being treated like other juveniles now being re-sentenced (in Michigan) under Lockridge,” Louisell says. The Lockridge ruling by the Michigan Supreme Court orders that juvenile lifers in murder cases be given a “second look” by the sentencing judge because of the defendant’s age at the time of sentencing. That hasn’t happened in the Wershe case and he’s the ONLY Michigan juvenile lifer who has been denied consideration under the Lockridge ruling. “If he were sentenced today, he’d probably get five to seven years or at most 15 to 17 years,” Louisell says. Attorney Paul Louisell. A framed newspaper article about his famous late father is over his shoulder. In his office, over his shoulder, there is a framed copy of a newspaper article about the late great Joe Louisell, Paul’s father. 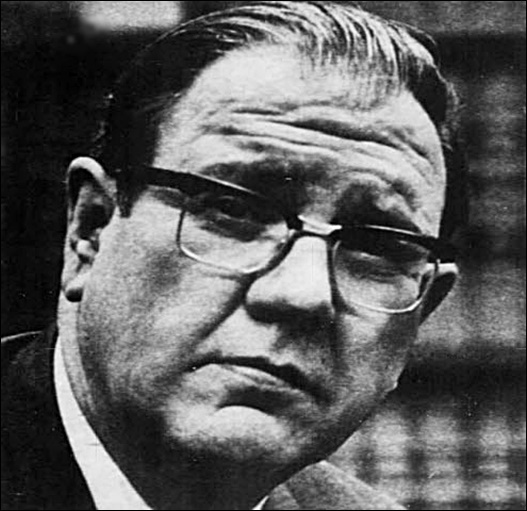 In a lengthy profile story The Detroit Free Press once called Joe Louisell “Detroit’s Perry Mason,” a lawyer with an astonishing knack for winning seemingly unwinnable cases. In 1995 the Detroit Legal News honored Joe Louisell posthumously as a “Legal Legend.” Joe Louisell’s father, Medor Louisell, was a prominent trial lawyer in Minnesota and later, in 1908, he was a member of the Michigan Constitutional Convention. Joe Louisell got legendary Detroit Lions quarterback Bobby Layne out of a drunk driving case by arguing the arresting police officers may have mistaken Layne’s thick, slow Texas drawl for drunkenness. Layne had stopped his car six feet from the curb when the police stopped him and a car load of companions. But Joe Louisell’s novel defense argument about the way the championship football star’s drawl could be mistaken for drunkenness won the day. Regarded for many years as Detroit’s premier criminal defense attorney, Louisell won acquittals in several seemingly hopeless murder trials. What would Joe Louisell think of the Rick Wershe case? Maybe, just maybe, with Paul Louisell’s motion for a writ of habeas corpus and Ralph Musilli’s civil rights fight for Wershe in the federal courts, Rick Wershe may at long last get justice in 2017. I work hard to keep the facts straight in the complex and twisted tale of Richard “White Boy Rick” Wershe, Jr. But sometimes things are misstated and it’s important to make corrections. This is incorrect. Rick Wershe had stopped working for the FBI before he began his affair with Cathy Volsan Curry. He did indeed work as a confidential informant for the FBI, he did indeed have an affair with Cathy Volsan Curry, the mayor’s niece, and he embarrassed the mayor by living with her. But his FBI work and his fling with Ms. Volsan-Curry did not intersect.